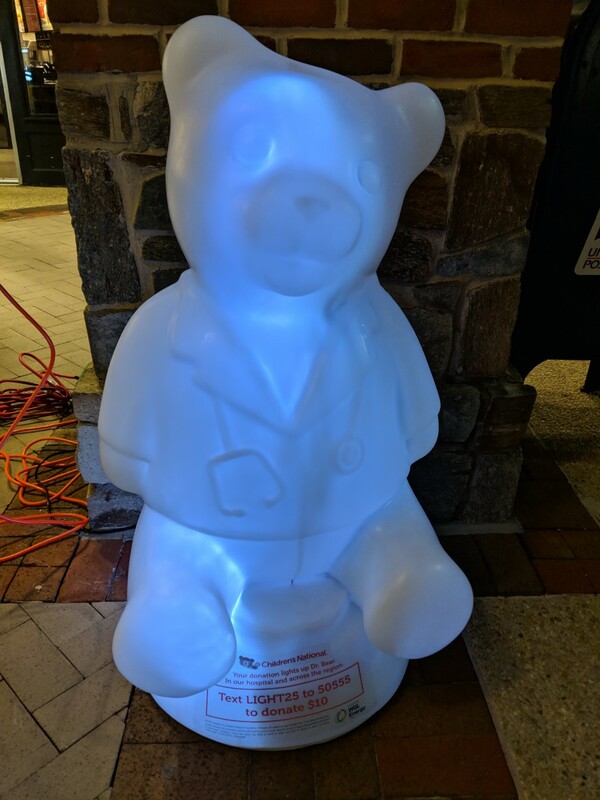 The doctor is in at Congressional Plaza in Rockville. 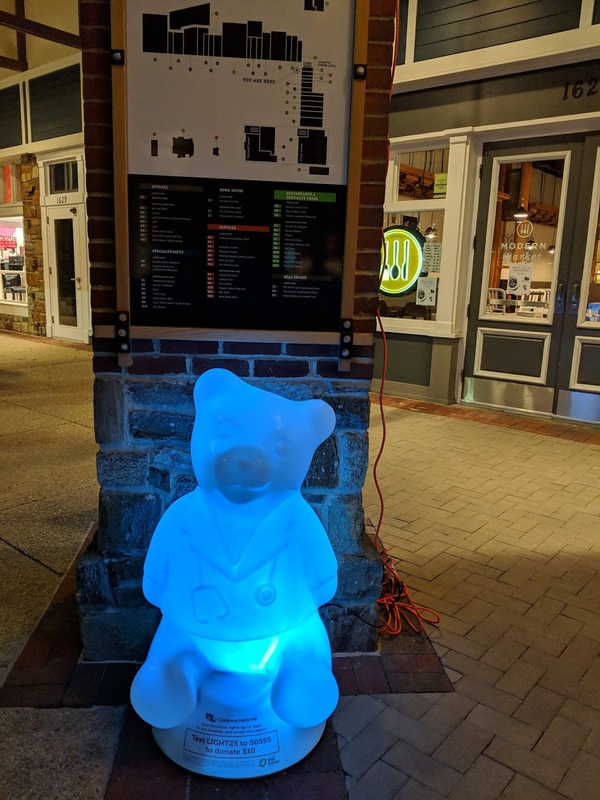 Dr. Bear has appeared at the shopping center for the holiday season. 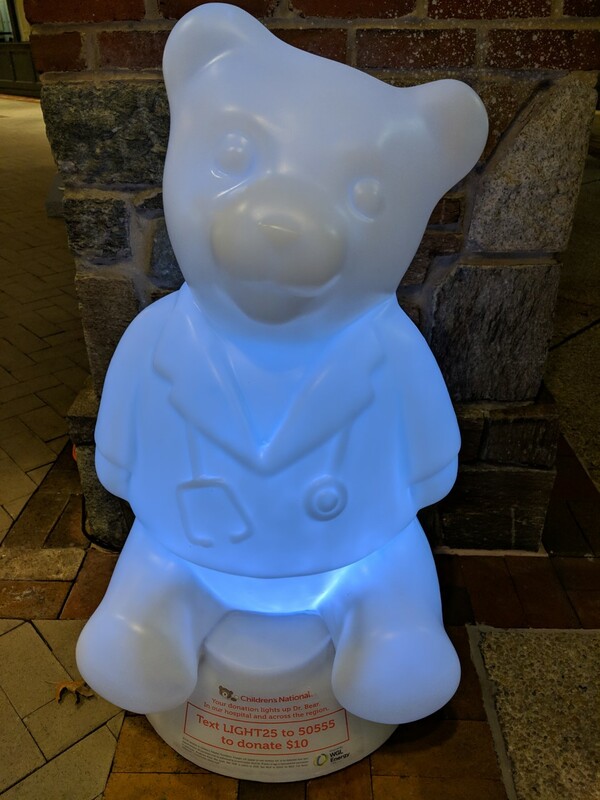 When you make a donation to Children's Hospital, Dr. Bear lights up, filling passersby with holiday cheer. 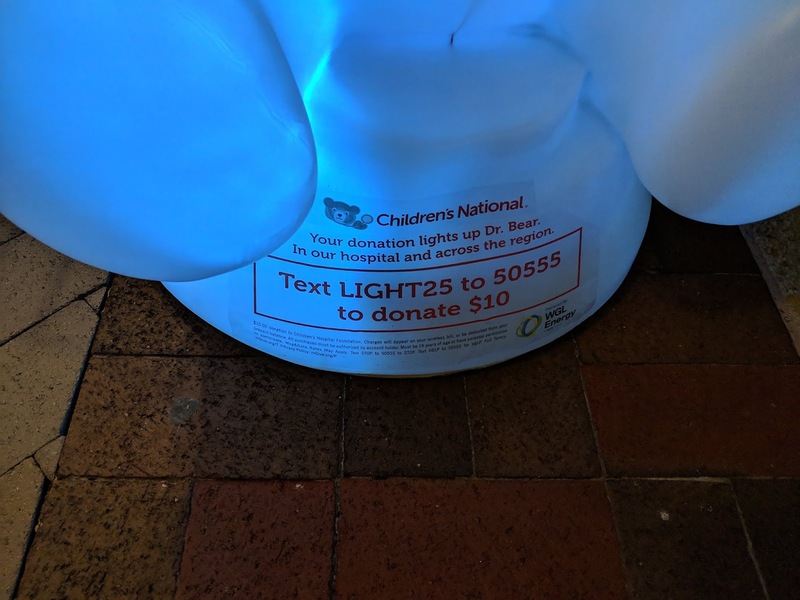 Text LIGHT25 to 50555 (see photo below to double-check) to donate $10 to Children's Hospital, and light up Dr. Bear.